David Greilsammer is attempting to find out exactly to what extent the performer can be involved artistically in the program and the performance. Before last night’s performance of his program, Labyrinth, in a soft and nearly hypnotic voice he described his struggle with this bargain: To create a musical program first and foremost conveying his artistic vision, necessarily altering structure of some compositions and placing them in sometimes fluid and sometimes jarring alignment with one another; availing himself of works that due to their short duration may never be suitable for a traditional performance; performing in an unusual venue. And all the while avoiding the tripwire separating artistry from gimmickry. He left it for the audience to judge his success, putting faith in another unstated bargain: that in order to foster artistic courage, it is necessary to lower one’s gimmickry radar. The true artist has an inspiration that evolves into a motivation that evolves into a work of art. Greilsammer’s inspiration for Labyrinth came to him in a dream of being lost in a labyrinth. To convey the sense left by this inspiration, he crafted a mazelike program of music, staked at the entrance and exit, and at turns, with movements from Leos Janacek’s piano cycle, On an Overgrown Path. Works of composers J. J. Froberger, W. A. Mozart, and C. P. E. Bach, and a world premiere by Israeli-Canadian composer Ofer Pelz, are carefully interleaved with the Janacek movements. The labyrinth is made palindromic by splicing the other composers’ works and planting them symmetrically around the intact center composition, a new piano arrangement of the work Le chaos by the Baroque composer J. F. Rebel. Greilsammer’s performance was part of a series of recitals presented at this venue by Unison Media. 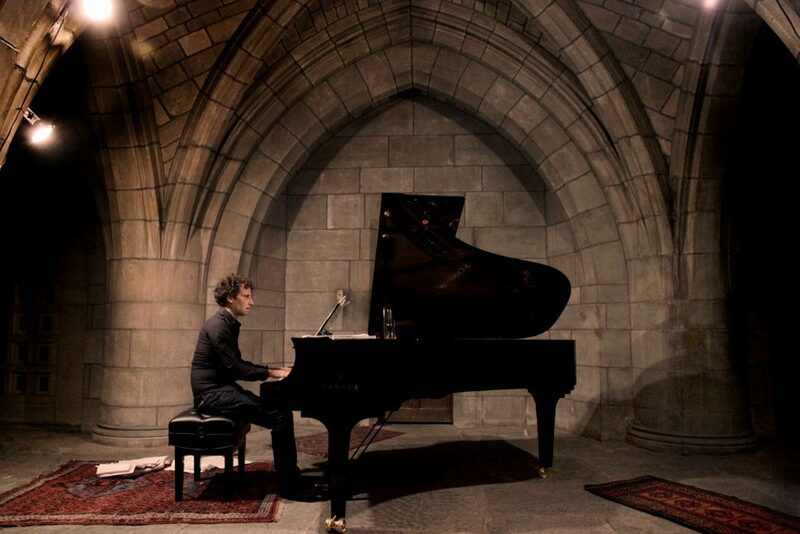 The venue, the crypt of the Church of the Intercession on 155th Street, has characteristics that work extremely well with the artistic vision of Labyrinth: darkly lit, an ancient-looking and ornate décor, surrounded by a cemetery, the audience itself surrounded by remains of the departed. A perfect setting to behold a labyrinthine vision, and to ponder bargains of immortality. Added to that are the impossibly wonderful acoustics from an intimate dimension with stone walls and floor, and vaulted ceiling. 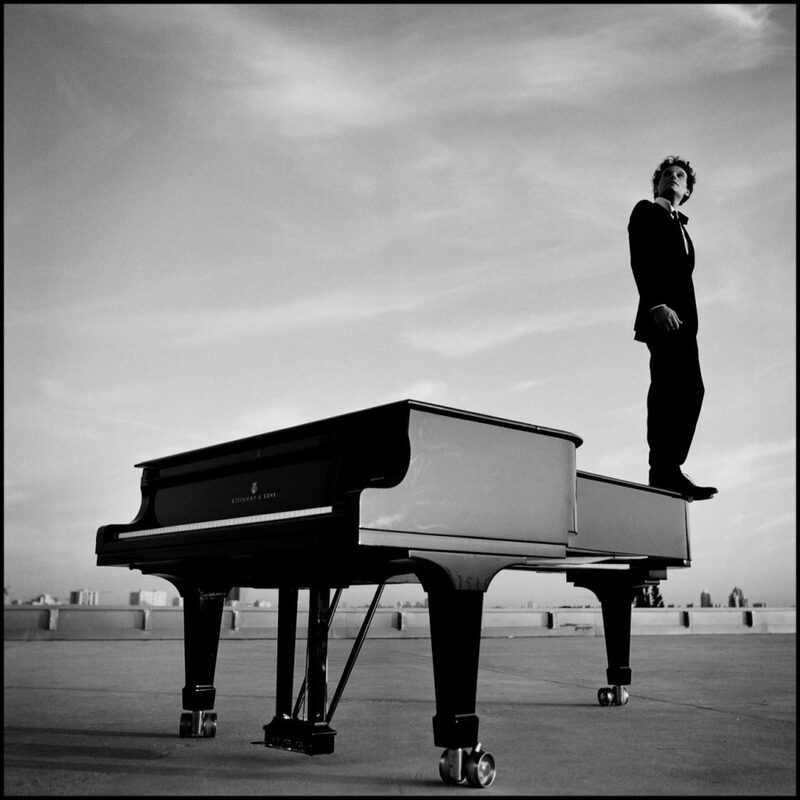 Under Greilsammer’s command the Yamaha grand piano murmured and shrieked, wept and sang. Approaching the center of the labyrinth, we met the world premiere of Pelz’s Repetition Blindness. When creating a program where musical movements are dismembered and reassembled, Cubist-style, it may be quite easy to apply this style to composers long gone. The Pelz work was bisected by the intact Rebel piece; it takes chutzpah to apply this method to the work of a composer not only living but also present—along with his patron—for the world premiere. But the very presence of the composer was all the validation necessary. Whereas walking past the Bach Fantasy we had cascading sequences reminiscent of a turbulent fountain, in the presence of Repetition Blindness we had descending motifs that evoked a violent waterfall. My mind did not mark the exact moments of Greilsammer’s transition between Pelz and Rebel and Pelz, for by the center of the labyrinth, I had given over to a feeling of eager receptivity, and not really caring if a guide, even in a vision of Gilberte Swann, were to take my hand and lead me along the overgrown path. But the guide was certainly there in the form of David Greilsammer. With careful attention, and really beautiful playing, he led us past familiar landmarks now in reverse order and from the opposite side, until the last movement of the Janacek rang our exit from the labyrinth and back into the world of the fully conscious. In my mind, David Greilsammer’s Labyrinth was an astounding success, and I certainly treasure my experience at his performance. I only hope that I will not be disappointed in the future, when a more traditional musical recital, in a more traditional venue, does not transport me into a similarly spellbound state. If you have enjoyed this review, please consider making a donation to the Church of the Intercession, which hosted this event at their crypt. For upcoming concerts in the Crypt Sessions series, please see the Crypt Sessions website.